Thanks to Jimmy Wales, we can know increase our knowledge by reading articles in Wikipedia for free. Available in 296 languages, Wikipedia is the largest online encyclopedia on the planet. No doubt. If you want it, you can also build your own wiki. There are many free wiki software out there that you can use to build your own online encyclopedia. Wikipedia itself is actually built using a free, open source called MediaWiki. 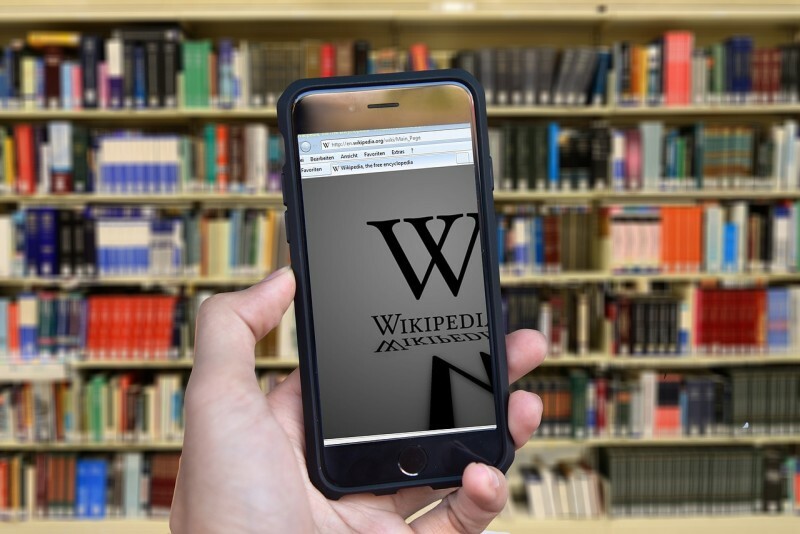 There have been many communities that build their own online encyclopedia to let other internet users access new knowledge they want to share. You might think that developing an online encyclopedia like Wikipedia requires a good skill in programming. Yes, having a good programming skill is really helpful to build something like Wikipedia, but it’s not required. As I mentioned, there are a number of free, open source software that you can use to build your own Wikipedia. Here is the list. The first software you can consider if you want to create an online encyclopedia like Wikipedia is MediaWiki. In case you didn’t know, Wikipedia is also built using this software. MediaWiki itself is developed by Wikipedia. Written in PHP, you can use this software to provide internet users free knowledge of certain field you care about. You can ask your community members to write anything they know. Don’t worry about the installation. MediaWiki provides you an easy-to-follow instruction on how to install the software. Just be sure you have prepared a decent server with web server, PHP, and database installed. You need them to run MediaWiki. According to an explanation on its official site, DokuWiki is the administrators’s favorite wiki software. The reason is because this software is easy to maintenance. You can develop your DokuWiki-based encyclopedia further since the software is also supported by dozens of plugins developed by the community who care about the development of this software. 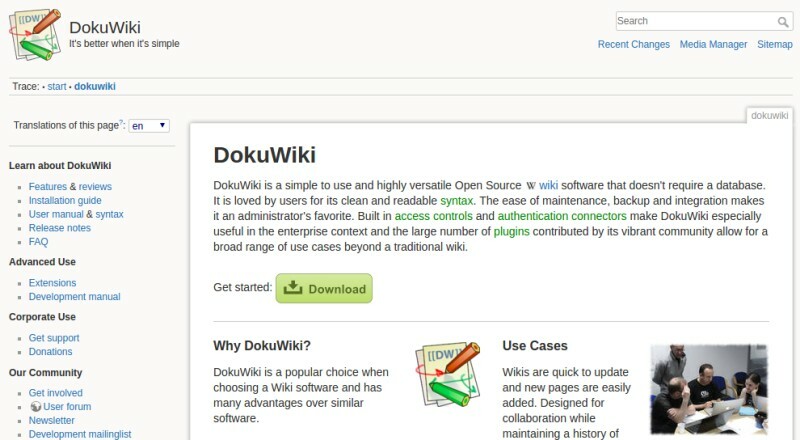 DokuWiki is a unique wiki software because it doesn’t requires a database. All you need to install on your server is web server that supports PHP, nothing else. PmWiki is also a nice choice to build a free online encyclopedia. Companies can also utilize this free wiki software to build a knowledge base related to the product or service you are offering. Like DokuWiki, PmWiki also doesn’t requires database to run, makes it easy to install and maintenance. You only need to have web server installed on your machine to install this wiki. But remember, that web server should be able to run PHP. 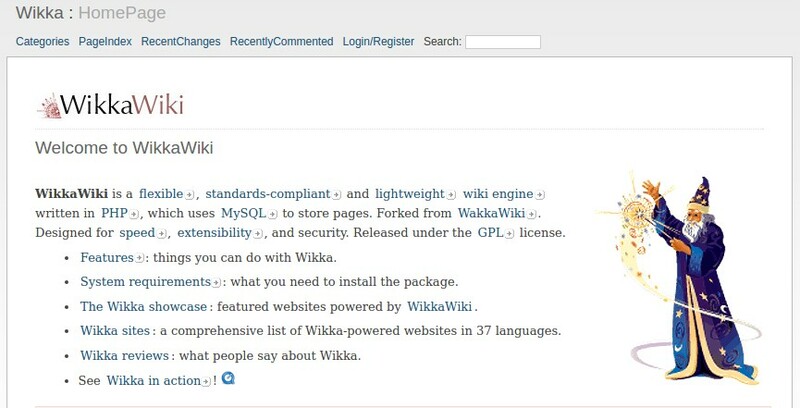 WikkaWiki is pretty similar to MediaWiki which requires a database server to store the pages you have created. But overall, the system requirements of this software are not to complex. Apart from database server, you only need to install web server like Apache or Nginx to install guide the software. Installation is also available and easy to follow. As of today, TWiki has been serving millions of people in over 100 different countries around the glove. It has been downloaded over 700,000 times. The majority of TWiki users are small to big companies. They use TWiki to strengthen their brand by building knowledge base or something similar that can be accessed freely by internet users around the globe. 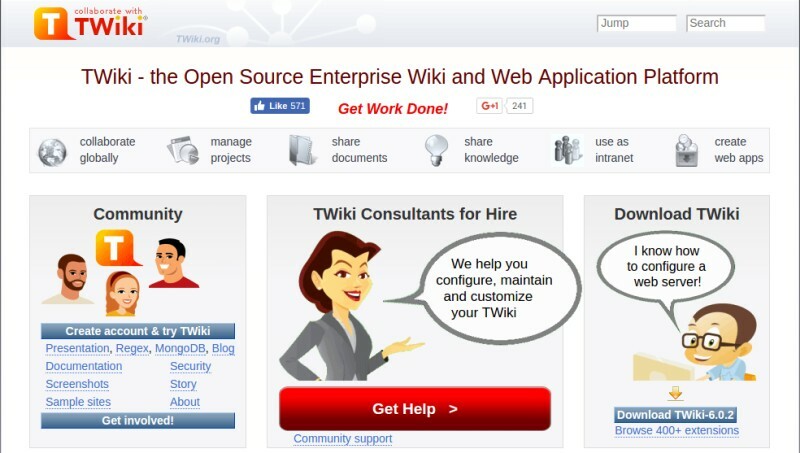 TWiki itself is aimed as an enterprise wiki. It is a structured wiki, typically used to run a project development space, a document management system, a knowledge base, or any other groupware tool, on an intranet, extranet or the Internet. TWiki also enables you to enhance the functionality of the wiki your are building since is also supported by dozens of plugins. XWiki is quite similar to TWiki which is very ideal to be implemented by enterprises to build a knowledge base. It also supported by dozens of plugins to enable you enhance the functionality of the knowledge base or online encyclopedia your are developing. XWiki is built using Java, which mean you need to install a servlet container such as Tomcat, Jetty, JBoss and so on to run the wiki software. Don’t worry about this, XWiki has a very helpful installation guide that you can follow easily.